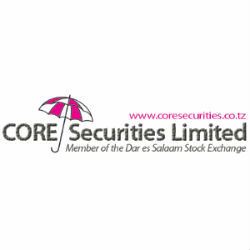 According to the Weekly Market Report of the week ended on 5th April 2013 issued by CORE Securities, a leading Tanzanian licensed stockbroker, the Dar Es Salaam Stock Exchange (DSE) total turnover decreased by -46% to TZ 857.6 Million (USD 530,863) from TZS 1,594.7 Million, (USD 987,130) both local and foreign investors participated in the market. The Market Commentary shows the DSEI (ASI) and TSI were flat edging UP by +0.04% and +1.63% to 1,527.58 and 1,607.86 respectively, compared by 1,521.48 and 1,582.07 of last week. Most of activities were seen on NMB, CRDB,TWIGA,SWISSPORT and TBL counters. totaled Tzs 13.41 billion, while no trade recorded for 2, 5 and 10 years bonds. Spot gold was down to -1.53% to 2.544million per ounce (1 ounce = 31.10 grams) on Friday 5th April, The following is a 30 days gold price movement per ounce. UTT Launched another scheme named as LIQUID FUND. TCC posted a 21 percent increase of net tax profit to 85.9 bln from 70.9 bln in the year ending 2012. TPCC posted a 22 percent profit increase to 61,578 from 50,605 in the year ending 2012. Barrick Gold Invests U.S$2 Billion in Tanzania Oil, Gas: source AllAfrica Global Media (allAfrica.com).